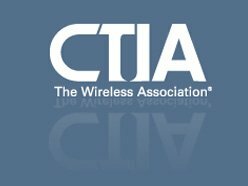 CTIA has released an updated version of its “Consumer Code for Wireless Service,” which was originally developed in 2003 to help consumers make informed choices when selecting and managing their wireless service. Phillips Launches Wireless HDTV Box in the U.S.
Philips confirmed U.S. retail availability for its much-anticipated Wireless HDTV Link, introduced in September at IFA 2009 in Berlin. HDTV Link uses innovative technology to wirelessly deliver high-definition TV picture quality (up to 1080p) without ruining the aesthetics of the home. It transmits HD signal up to 75 feet away from the TV without signal loss or degradation, making it possible e.g. to stream devices like a Blu-ray player to a TV from the other side of the room.